Hello everyone. This is my first post here. 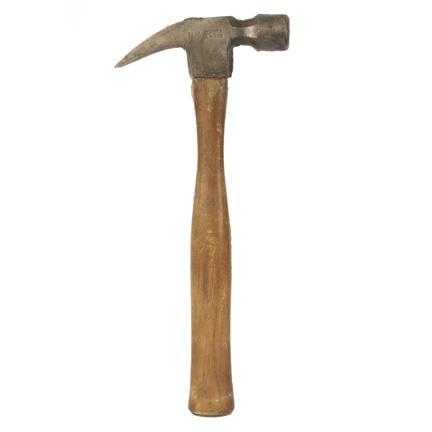 I am in search of a very specific hammer, this one to be exact. I don't know much about it other than this one in the photo is the one I'm looking for. Any help identifying it would be much appreciated. Thank you everyone, looking forward to being here more often. What's the weight on this one? I may have a 16 oz Vaughn like this. That is a 20 oz, smooth faced, rip, with ground octagonal poll. Vaughan and before that Vaughan and Bushnell have made them continuously for the last 80 years, at least. You can take a new one off the shelf at Ace hardware, and remove the paint and varnish, and it will be exactly the same. Thank you both for your help. It seems that yes, it is a 20 oz. I know they make similar models, but I want literally this EXACT one. It was used in a fantastic movie and I would like it since it was the most iconic piece in the whole movie. Here are some more photos of the one actually used in the movie. It has been recast, which is why there is that line, but all the important details are still there. Thanks again guys. All your help is very much appreciated. Re-cast?? Looks like it was cut into two halves and then glued back together. By re-cast do you mean it was made from an original mold for the movie? 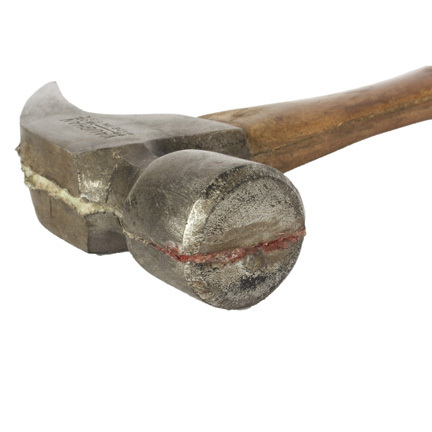 That hammer should have been forged from the manufacturer to begin with. First picture looks like a different hammer than the others. Yeah I want Marylin Monroe's wiggle from Some Like It Hot. Yeah, but on Marilyn, not on Scott! Well I should hope so!! The girl was on fire. Basically, yes. It was cast from an original Vaughan hammer, but their version was made from rubber to avoid injuries I assume. They look so different because when they made a copy, they repainted it to look like a hammer, so the colors are way off. Other than that, I believe they are the exact same. 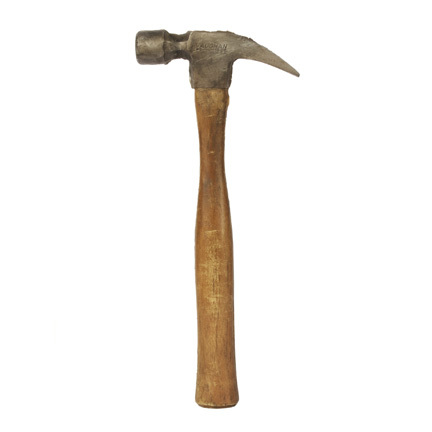 Hi Adam if you’re still interested in this hammer, I have this exact one. Email me if interested. 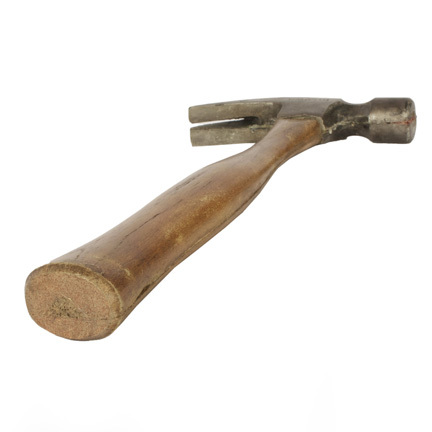 Are you looking for the real hammer that you showed in the first post, "this one to be exact", or a rubber hammer movie prop?